As someone of Swedish descent who loves good design, I am always excited when I spy something remarkable from Scandinavia that I can share with you all. 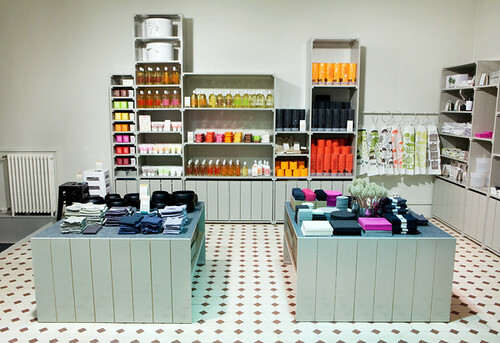 Like this shop and this (bottom) photographer. Here are two more amazing finds from my Northern European brethren. 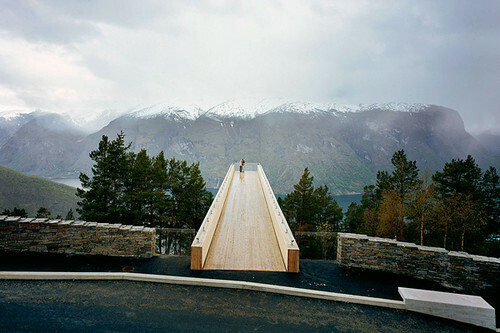 Last week Black*Eiffel told us about the amazing architectural walkways to be found in Norway. 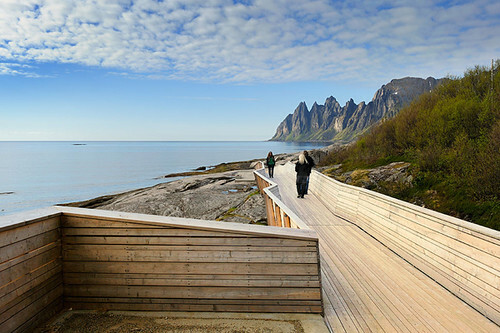 They kind of remind me of a high design version of this walkway. 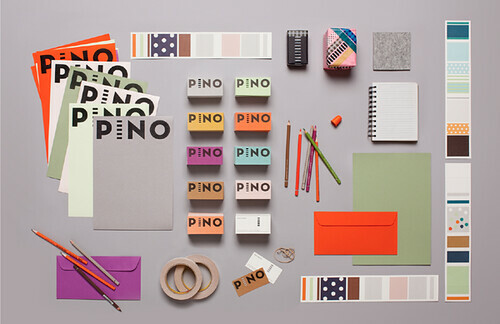 Last week seesaw also pointed us towards the awesome, brightly colored identity for the Finnish lifestyle store Pino. Check out their profile on Behance for more eye candy.